Mauritius looked like paradise from my window as my plane flew over it–a rolling carpet of light green sugar cane fields punctuated by jagged mountains and surrounded by sparkling ocean. It seemed like a pristine Hawaii before the 1960’s tourist boom. Mark Twain thought it was paradise on earth during his round-the-world trip. 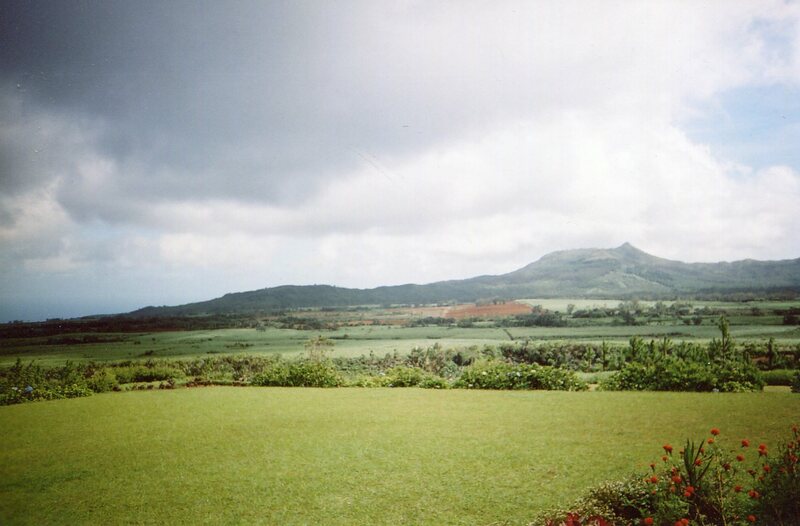 I found Mauritius’ cultural landscape just as enchanting. Sega music leaped through the speakers as soon as we landed. This is a poly-rhythmic style of dance which the African population developed. Some performers recently mixed it with reggae and created seggae. Many songs rail about social injustice, and others celebrate good times. But all make you want to flex every joint in your body. My lively seat mate, the view from the window, and the bursting rhythms and joyful singers gave me a pulsating introduction to the country. The taxi ride to my hotel was about 40 miles over winding roads that shimmied through sugar cane fields. Steep serrated mountains towered beyond the dense masses of stalks. Many slopes rose at 70 degree angles. Their dark blue-green hues contrasted with the cheerful light green that enveloped us. They seemed to stand as sentinels. The island is an ancient volcano that rises directly from the Indian Ocean’s floor, and I saw lots of contrasts between craggy peaks and well-nourished soils with cane swaying in the breezes. Even the land dances. 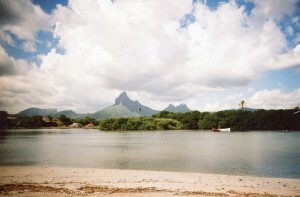 And so do the many cultures that call Mauritius home. 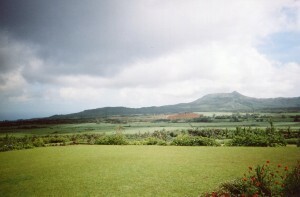 Mauritians are descended from many societies which ring the western Indian ocean. Each of these cultures is very rich, and most are very under-appreciated. All have meshed with Mauritius’ natural landscape, and they pulsate together in vibes that are addictive. I still can’t get them out of my system. I don’t want to, so I’ll share some of them over the next few posts on Mauritius.